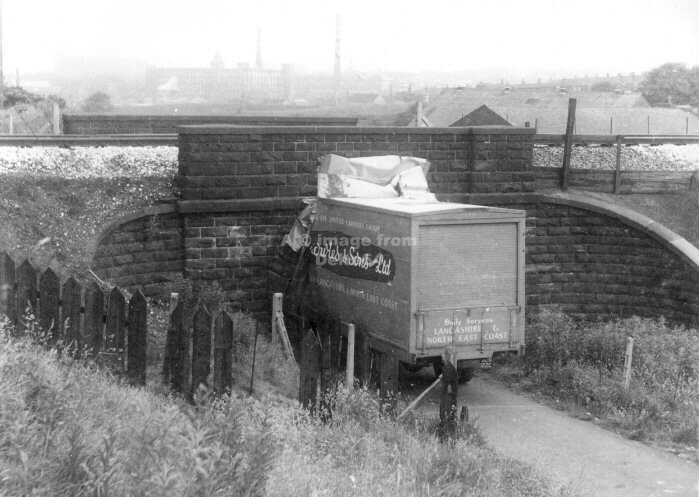 "POLICE MANNING A ROAD BLOCK AT THE JUNCTION OF MILNROW ROAD AND ALBERT ROYDS STREET [CALAMITY CORNER] WERE AMAZED TO SEE A LARGE PANTECHNICON TURN DOWN NEWBOLD STREET JUST SHORT OF THE ROAD BLOCK. 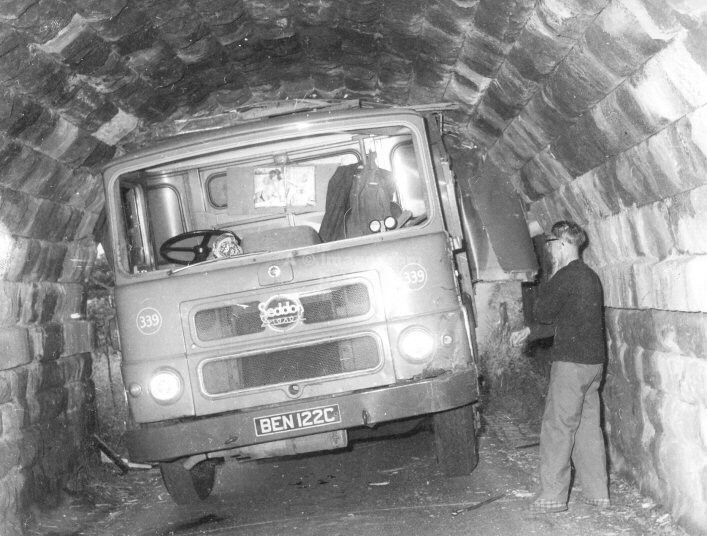 A FEW SECONDS LATER THEY HEARD THE BANG AS THE VEHICLE JAMMED ITSELF UNDER THE LOW STONE ARCHWAY OF THE RAILWAY BRIDGE ON NEWBOLD STREET. ONE OF THE THREE OCCUPANTS OF THE CAB WAS TAKEN TO HOSPITAL AFTER BEING THROWN THROUGH THE WINDSCREEN, BUT WAS DISCHARGED AFTER TREATMENT."